ASRock have slowly been releasing details on some of the new features their Intel series 8 motherboards have. The final feature, Home Cloud has been announced and the tech is impressive. Connect with your home or office PC from anywhere in the world using Home Cloud. 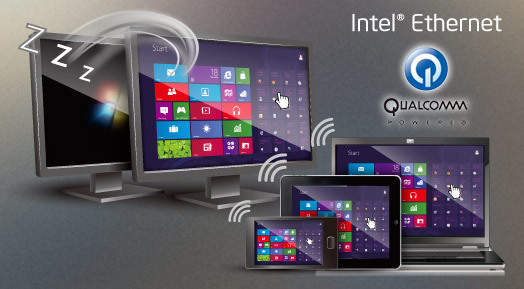 You will be able to power your PC on or turn it off, monitor and take control of it remotely with another smartphone, tablet or computer. To get a better idea as to exactly what Home Cloud has to offer, check out the video below. Even if you don't want to learn more about Home Cloud, watch the video below because it is hilariously corny. This will work on both 8 series motherboards with Intel and Qualcomm LAN chips and, judging by the video, only when using Windows 8. Home Cloud is quite an impressive addition but how beneficial it will be remains to be seen. Is this something you can see yourself using?